afaela Papadopoulou joined the firm in 2016 as an Associate Attorney. 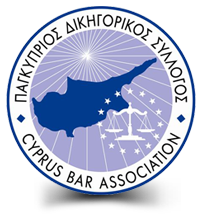 Since then she has been practising law in Nicosia since 2014, acting on behalf of both physical and legal entities, providing among other consultations concerning matters relating to Tort Law, Banking, Administrative Law, European Union and Family law. Rafaela Papadopoulou appears daily before Courts of all instances and jurisdictions in Cyprus. During her LLM at UCLAN (University of Central Lancashire) Cyprus, she specialised on International Energy Law and European Union Law and wrote her thesis on “European Union and the Euro: The Exit”. She has also made a presentation on “EU / EMU withdrawal: a comparative analysis” to the employees of the Central Bank of Cyprus in 2015.